Whether you can’t face the day without that first brew in bed or you’re a certified connoisseur who knows their Arabica from their Robusta, coffee plays an important role in many of our lives. 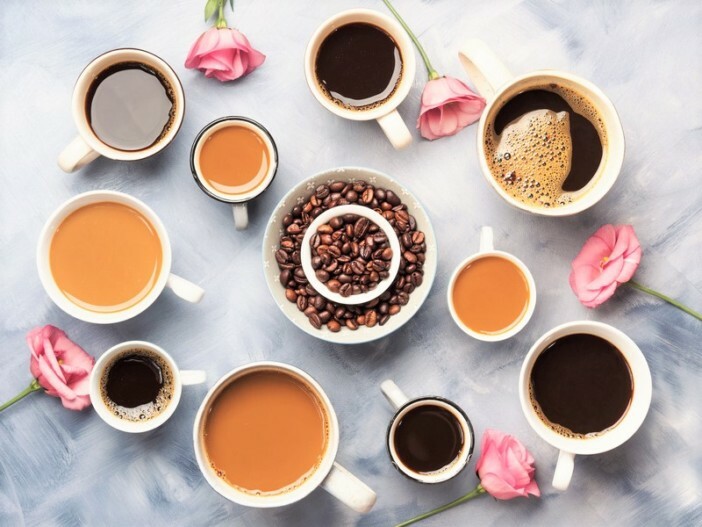 Since the 15th century, coffee has been a beloved beverage all over the world, prized for its delicious rich flavours and stimulating caffeine boost. Nowadays, coffee shops can be found on every high street and their independent counterparts have been at the forefront of the foodie revolution. From groups of teenagers drinking iced coffees topped with heaps of cream to grannies enjoying a flat white while the grandkids munch cake, our love of coffee is very clear. 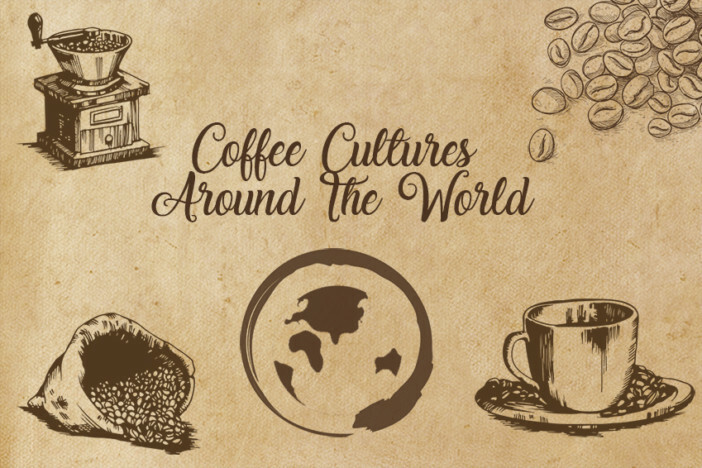 Lots of cultures all over the world love coffee and everyone’s rituals around enjoying the hot beverage are different. Some cultures drink coffee with a great deal of ceremony, reflecting its prized place in their culture. For others, it is a cornerstone of social gatherings, with people regularly meeting friends for a coffee and a catch up. So, to celebrate International Coffee Day, we’ve rounded up some of the most iconic ways of preparing coffee from around the world. Ethiopia is actually thought to be the place where coffee drinking first started and it’s still a huge part of daily life there. The process of making coffee is just as important to the experience as drinking it in Ethiopian coffee culture. It is boiled and served in a spouted pot called a jebena, after being roasted over hot coals and ground with a pestle and mortar. The entire process takes several hours and it’s common to hear the phrase ‘buna dabo naw’, or ‘coffee is our bread’, regularly in the country. 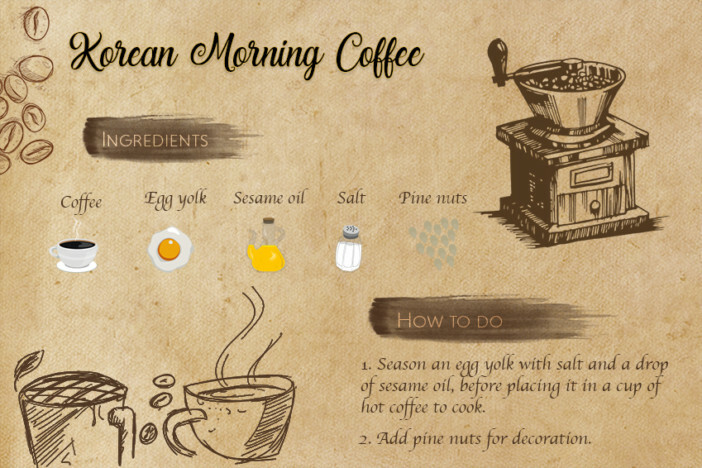 Gaining popularity in the 1960s and 70s, morning coffee can often be found in Korean coffee shops called dabangs. The beverage is designed to provide an all-in-one morning coffee and breakfast in the same cup. To create this unusual breakfast, season an egg yolk with salt and a drop of sesame oil, before placing it in a cup of hot coffee to cook. Traditionally, pine nuts and a walnut are added to the top of the yolk for decoration. 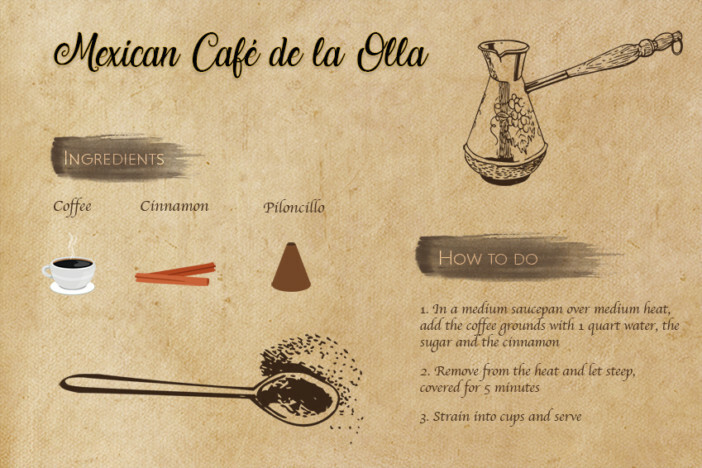 Mexico specialises in a delicious spiced coffee called café de olla, which is served with a cinnamon stick. The coffee is brewed with cinnamon and an unrefined sugar called piloncillo, which gives it a unique spiced flavour. It is usually served in a clay pot, which is thought to give a slightly earthy taste to the beverage. 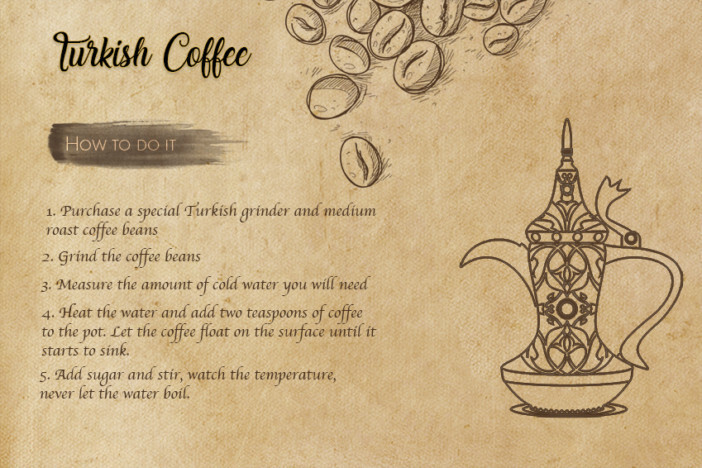 Turkish coffee is made using one of the most famous methods of preparing coffee, resulting in a thick, strong brew. Fresh coffee beans are first roasted, before being ground to a fine powder with a mortar or burr mill. Then, the coffee is added to cold water and sugar, before being boiled in a pot called a cezve. It is then served in small cups, which allow the unstrained grounds to sink to the bottom. An important part of Turkish culture, coffee is often served at social gatherings, important occasions, and holiday celebrations. Italian espresso is perhaps the world’s most iconic cup of coffee, although ordering an Espresso Romano will get you a beverage with a twist – of lemon that is. 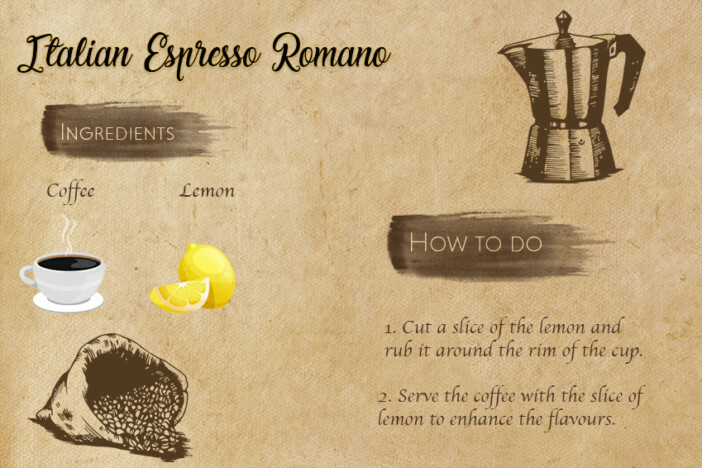 In Rome, espresso is served with a slice of lemon in the cup, which is first rubbed around the rim of the cup. The lemon is thought to enhance the flavours of the coffee. Coffee culture in Saudi Arabia involves a great deal of ritual that highlights the beverage’s role in social occasions. Drinking coffee together is usually started with a hug or kiss on the cheek, after which everyone sits together, cross-legged on the floor. Elders are always served first, working down to the youngest who is served last. In Saudi culture, the coffee cup is always held in the right hand. Coffee is often served with an infusion of saffron, which adds a delicious fragrance to the drink. 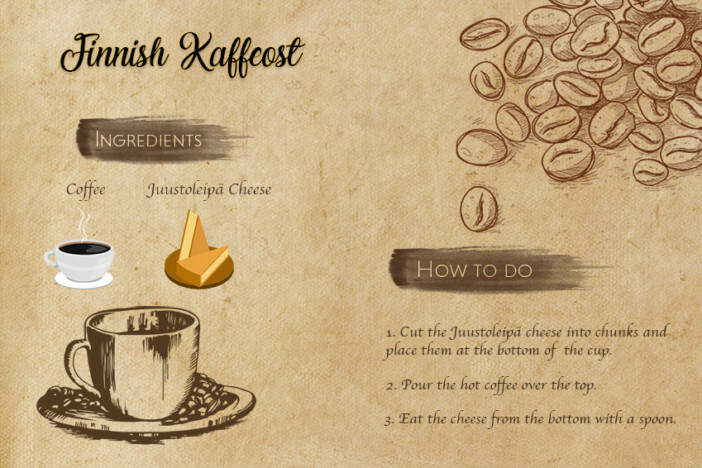 Finnish Kaffeost is one of the more unusual methods of drinking coffee and can be something of an acquired taste. A rubbery cheese called juustoleipä is cut into chunks and placed in the bottom of the cup, then hot coffee is poured over the top. Once you’ve finished the coffee, the melted cheese is then eaten from the bottom with a spoon. When you think about ways of drinking coffee, from a can probably isn’t the first thing that comes to mind. In Japan, however, you can buy coffee in a can everywhere, from supermarkets to vending machines. In fact, vending machine coffee is surprisingly popular, accounting for the majority of canned coffee sales. 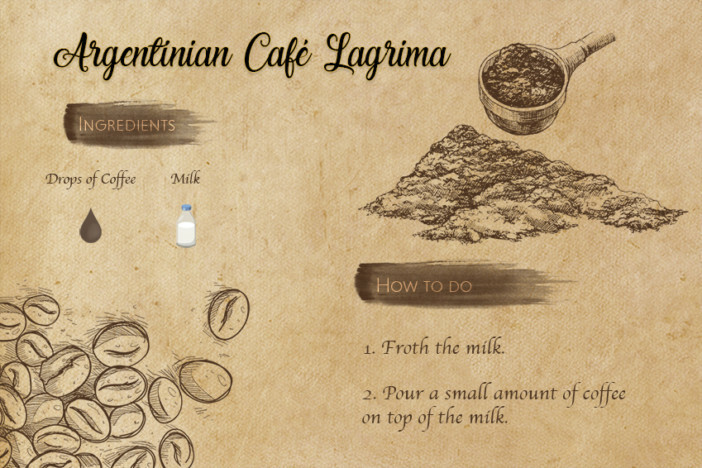 If you like your coffee to be as milky as possible, you’ll probably love the Argentinian café lagrima. Barely describable as a coffee, the drink is made up of steamed milk and foam, with just the smallest drop (a ‘teardrop’) of coffee added. Getting ever more popular across the globe, the Greek frappe is best enjoyed on a boiling hot day. 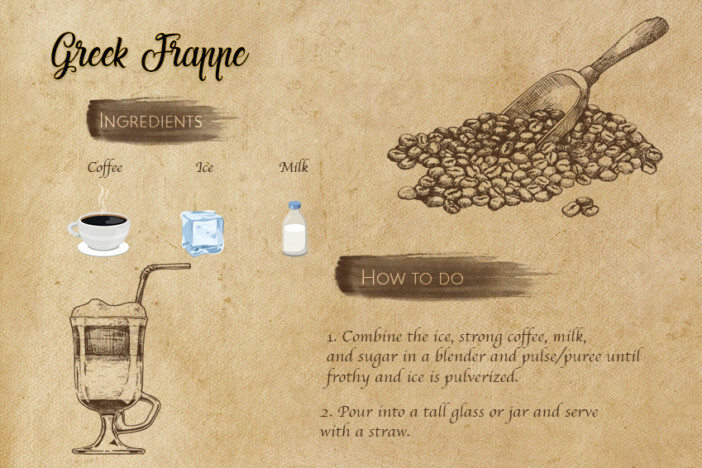 It is made with instant coffee, evaporated milk, and ice-cold water, for a creamy and frothy treat. It’s not one of the most glamourous of coffee drinks on the list, but it certainly is delicious. If this list has whetted your appetite for global discovery, browse Cruise1st UK’s selection of itineraries online or call our friendly sales team on 0808 274 6777.